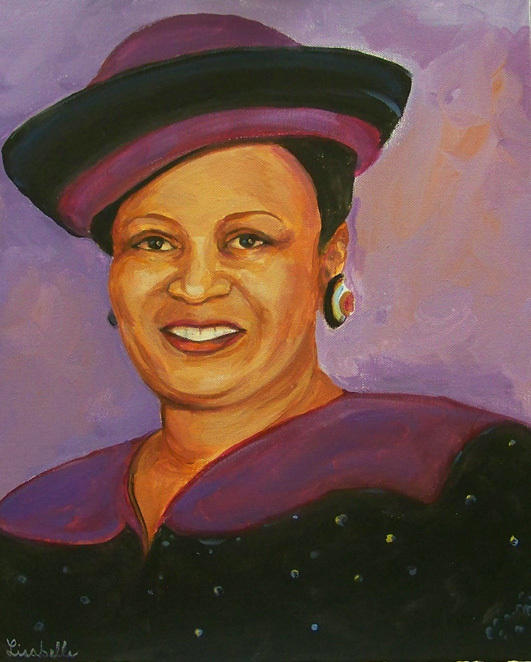 A gracious and accomplished person, that I was honored to paint. This is an acrylic portrait on canvas. I have painted fewer acrylic portraits, but enjoy working with the medium. I was invited to the the wonderful St.James Church, that was celebrating Annette James a very auspicious occasion, with all brethren in attendance, I had the opportunity to hand deliver this surprise portrait, that was commissioned by a wonderful friend Annisa.